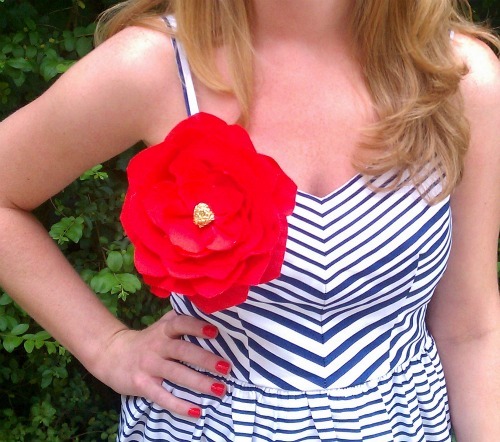 Happy Memorial Day Poppy Pin!! 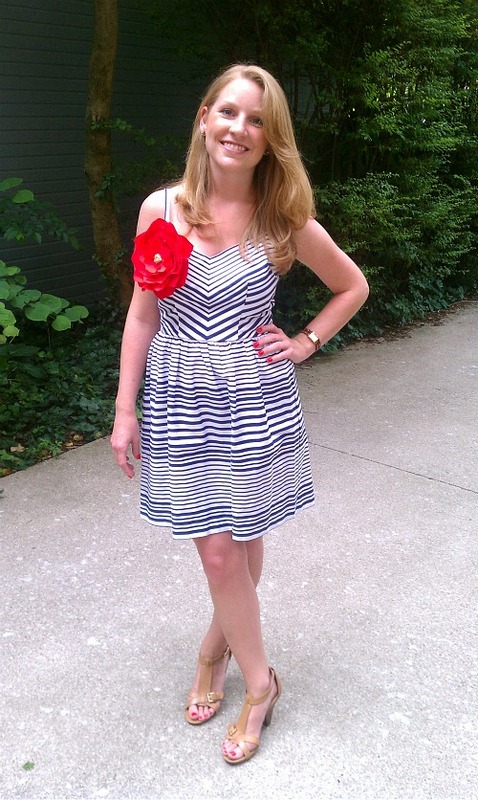 I hope everyone is enjoying their Memorial Day weekend! I know we are! These pictures are from Saturday when we went to a wedding. I fell in love with that striped dress from Macy's when I bought it, but knew it needed another pop of color. 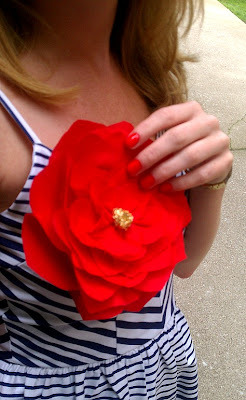 That poppy was perfect! 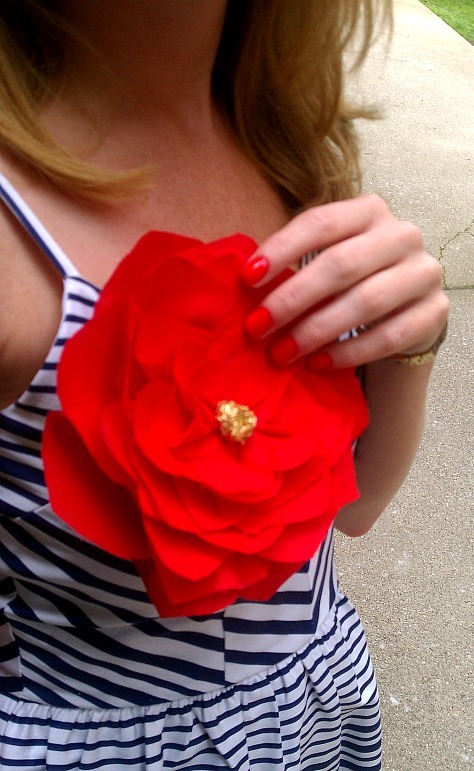 The color of it is actually red orange, but it looked like a bright red, thus making my outfit quite patriotic. Perfect for this weekend, I guess. To make the flower I used the Grosgrain Poppy Tutorial. I LOVE the way it turned out. It's pretty huge, but, of course, that's what I was going for. :) I actually didn't even use the biggest flower template she says to use in her tutorial. I simply left those out. As you can see, I was hyped it matched my nail polish. Ha. 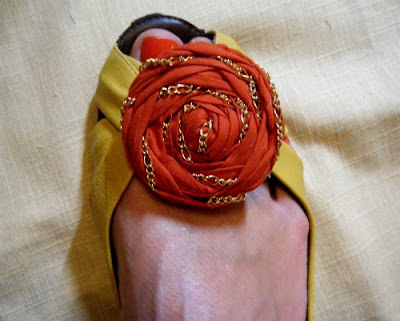 I wanted the center of my flower to be gold since there was gold on my shoes and I was planning on gold earrings So I did not use her method of making the center of the flower. 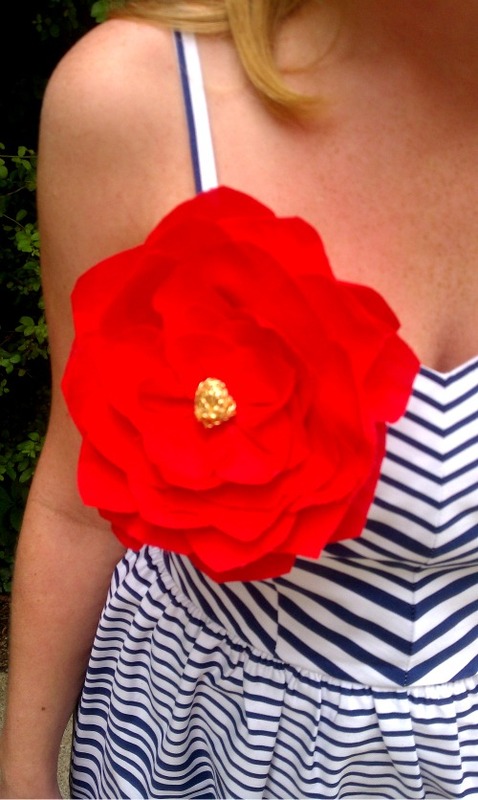 Instead, I bought some gold trim and knotted it up to make the center and simply hot glued it on. There is also an alligator clip glued to the back so I can attach the pin to a belt, too. That trick has been my favorite thing to do these days. Today I'm working on a banner for kindergarten graduation. Wish me luck so I can actually get it finished by tomorrow!! Go Visit Me at A Glimpse Inside! 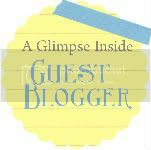 For those of you who missed it, be sure to go see my guest post at A Glimpse Inside! I talked about that sweet Snap-On Flower Onesie Dress so you don't want to miss it! I totally had it on my calendar to do a little post directing you there on the actual day (Friday! ), but I forgot to post it! You know you're overwhelmed with end of the school year stuff when... whew. Oh well! 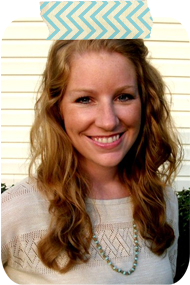 You can still go see it and click around Allison's wonderful blog while you're there! 3 days of this school year left!!! rosette as seen on my Lavender Rosette Necklace? 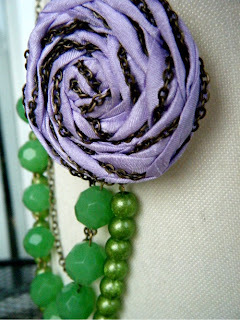 I first got the inspiration to make these rosettes after seeing the beautiful Etsy Shop, Studio Elenus. You seriously should check it out. She has beautiful things. 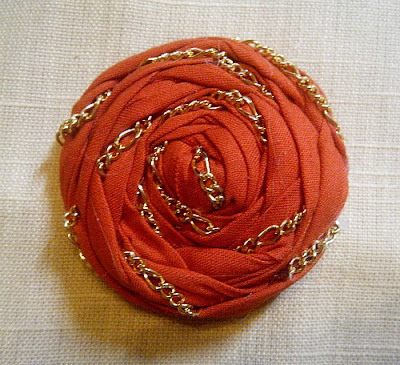 After seeing the chain-wrapped rosette on her shop, I knew I had to figure out how to make it. I'm really loving these rosettes and am wanting to make a ton more and put them on everything. What? You feel the same? Ok let's make one! I used a piece of rough silk 4"x45". 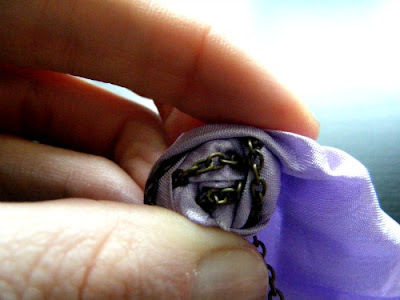 The size of your fabric depends on how big you want your rosette, so adjust as necessary. 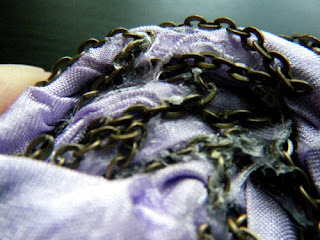 At first I started out with chain the same length as my fabric, but soon found out it was not nearly long enough. I would recommend using chain twice the length as your fabric. 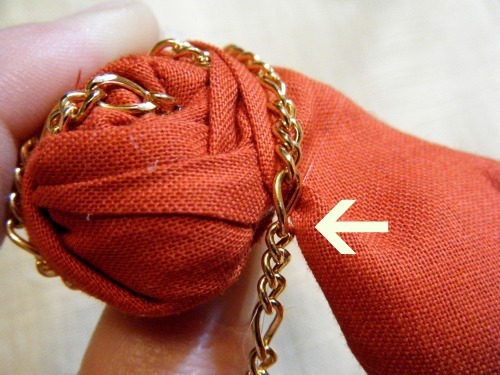 If you dont place the chain on every fold (as seen on the orange rosette at the end of this tutorial), you won't need as much. Step 2: Fold and Create the center of the rosette. For a clean look on my rosettes, I always fold both sides into the center and then tie a knot. This makes the rough edges stay on the inside so that when you twist and fold you only have nice crisp folded edges and not rough edges. I really like the rough edges sometimes, but when a clean look is desired, this technique works great! This is how you would start a rosette without the chain. See the rough edges turned in? 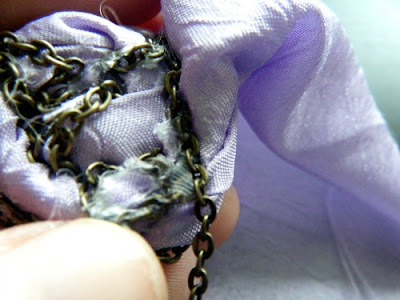 To add the chain, turn in edges and lay chain on top. Tie knot as usual. Trim excess. 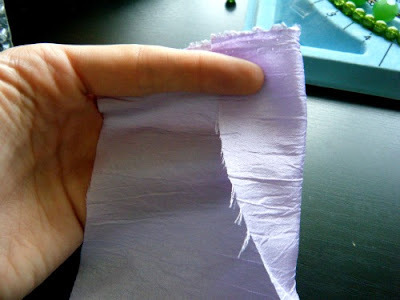 Step 3: Twist, Fold, Glue, Repeat. 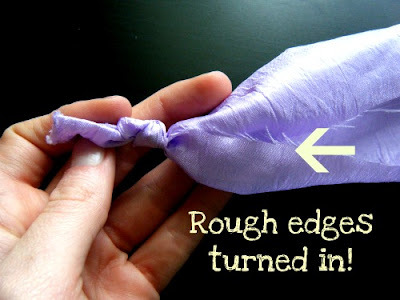 As you can see, I twist the fabric once, and fold down on top of the knot onto a tiny dot of hot glue. 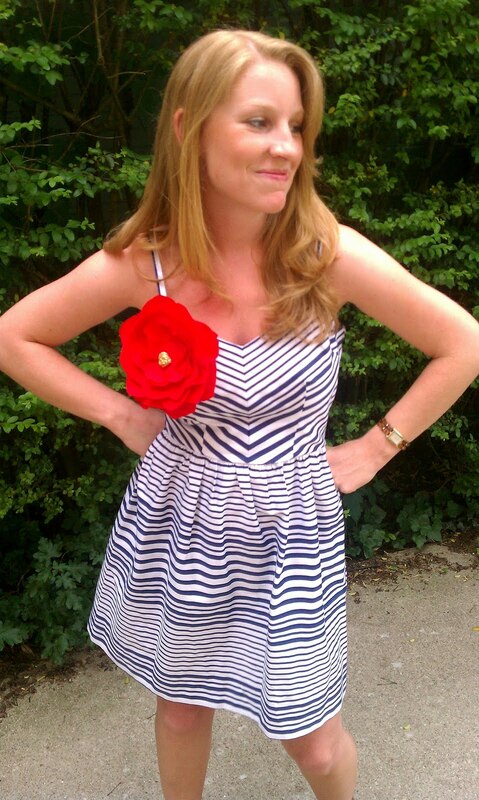 I continue that process until the rosette is as big as I want it to be. 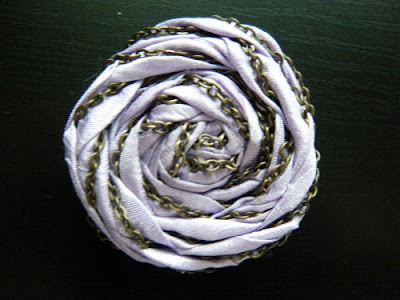 I like the look of this type of rosette a lot more than the twisting and rolling. 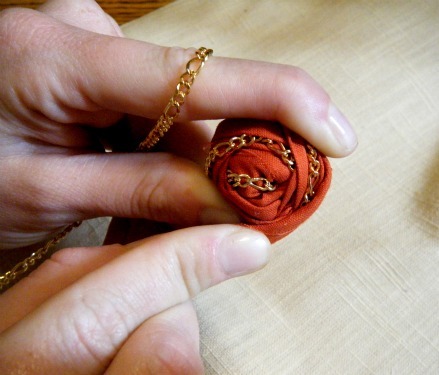 The first few folds are pretty easy because the folds are small. Be sure to hold the chain tight. 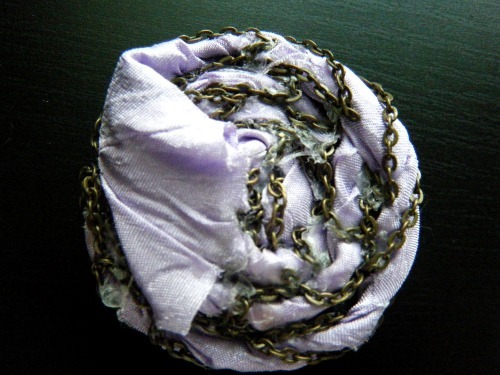 As you can see in the picture above the chain hangs down behind the rosette after each wrap. On this lavender rosette, I placed the chain on top of each fold. 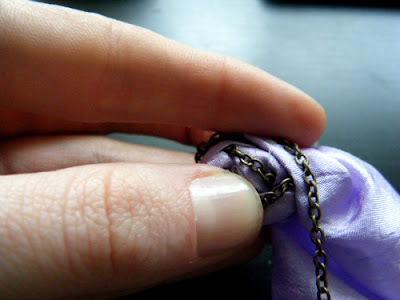 In order to do this, pull the chain up from the back and lay on top of the fold. Once your rosette gets bigger, your chain won't automatically lay in the ideal place on top of the fold anymore as you can see above. To fix this. Glue it down in the back up to the place you want the chain to start. So now instead of the chain being way over on the outer edge of the fold, it is more on the inner edge so it will be seen. (Forgot to take this picture when I was making the lavender one.) 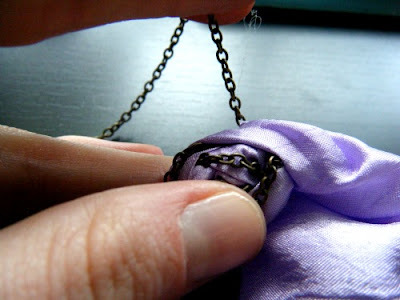 In order to keep the chain nice and tight and flush against the fabric without any slacking, pull down the chain with your left hand and use your right hand to twist and fold the fabric down on top of it. 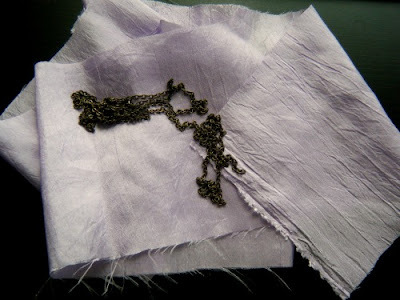 Put a tiny dot of hot glue under where your fabric is going to lay and press down. I put a tiny dot of glue on every fold. Continue until it is the size you want. 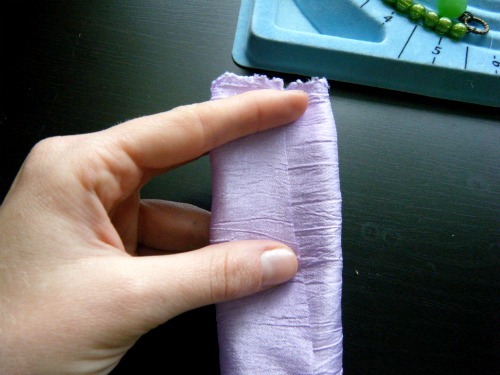 Then fold the edge onto the back and glue down. Step 5: Cover the Back! 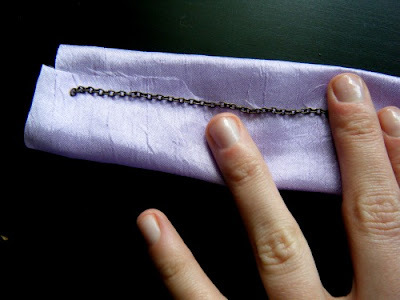 The back will be covered in glue from where you had to glue the chain down several times. 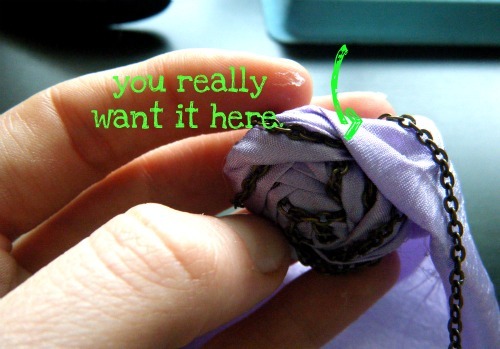 Be sure to cut a circle of felt the same size as the back of the rosette to glue on the back to hide all that mess. Step 6: Add them to everything! 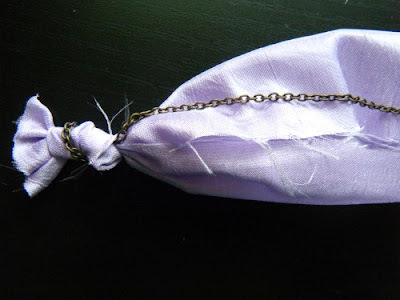 I made this orange one to show how to put the chain on every few folds instead of every fold like I did on the lavender one. In order to do this, simply leave the chain hanging in the back for a few folds instead of placing it on the top of each fold. I can't decide which style I like better. 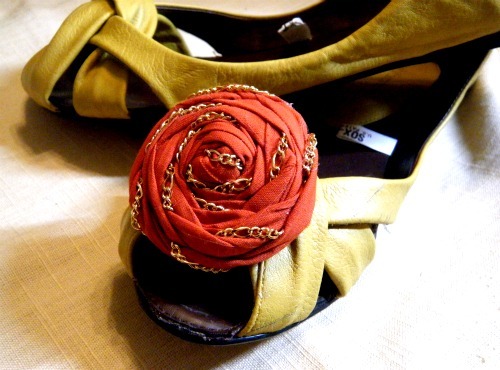 I do think that I need to make another one, though and make these into shoe clips! They maybe could stand to be a little smaller...oh, well. I tend to like things a little over the top sometimes. I'd love to see yours if you make one! Upload it to my Flickr page and I'll feature you! Hope you enjoyed the tutorial. Thanks for reading! This pretty little prize is yours if you respond within 24 hours! I'm sending you an email right now. If not, I'll pick another winner! Thanks everyone for playing! 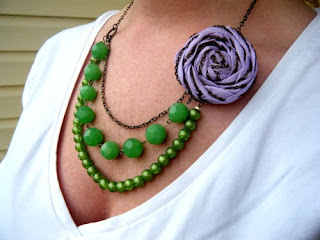 For those of you who didn't win, stay tuned tomorrow morning for the Chain-Wrapped Rosette Tutorial and make your own accessories! LAST DAY for the Lavender Garden Necklace Giveaway! Click HERE to win the Lavendar Garden Necklace! You know you need this necklace for the summer! Chain Wrapped Rosette Tutorial Coming Soon! 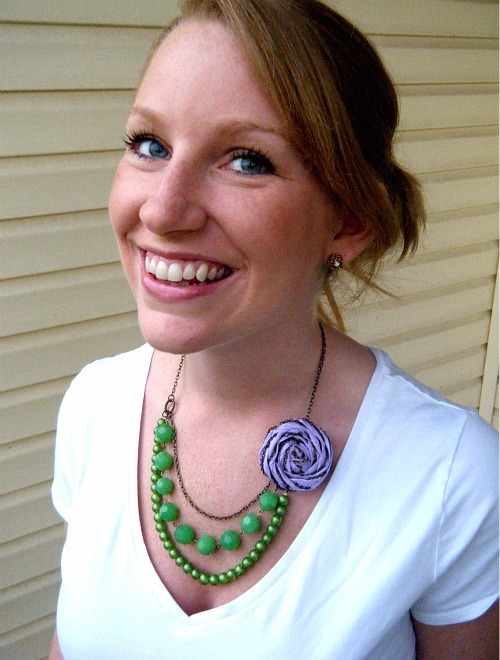 Hi readers, new and old, to my blog! Welcome to my first Sew Mama Sew Giveaway Day! I have some great tutorials on jewelry, sewing, and fabric flowers you should definitely check out! 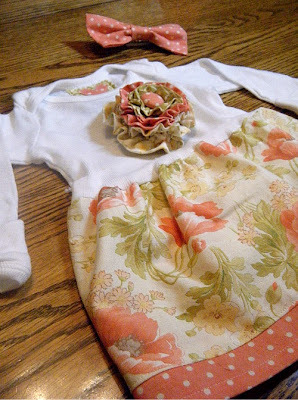 This giveaway is one of many great handmade giveaways at Sew Mama Sew's Giveaway Day! 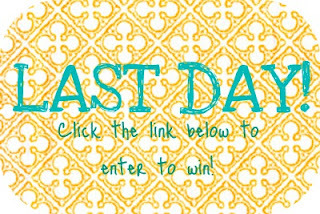 Be sure to stop on over and visit some more fabulous blogs and win some great stuff! The Giveaway Day came at a perfect time since I've been busy with end of the year school stuff (which also means I've been procrastinating finishing projects I need to post). 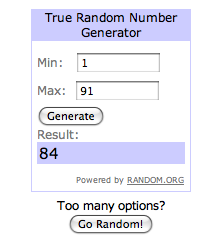 Yay for giveaways in the meantime! I just love this necklace. I think it is so summery and fun. 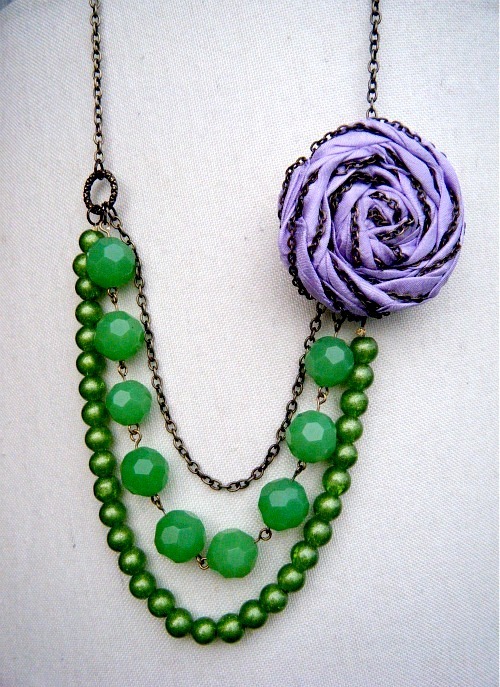 The chain wrapped rosette is a nice twist on the feminine flower necklace. 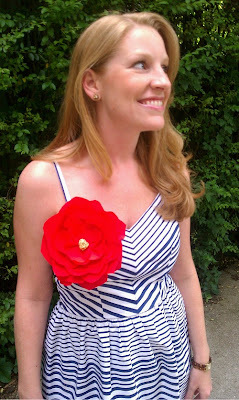 I'm wearing it with a simple t-shirt, but it would look great with a sweet summer dress as well! 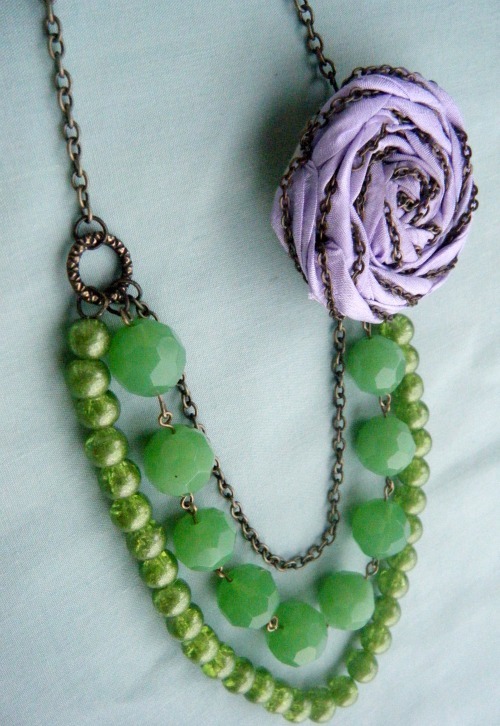 This necklace is made with antiqued bronze chain, large faceted glass beads, small round glass beads, and lavender rough silk fabric and is valued at $34. It has a simple lobster clasp which can be adjusted up and down a chain to make the necklace longer or shorter based on your preference. Become a follower of Miss Lovie and leave a comment telling me you are following (or are already following). 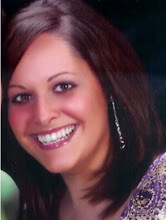 Follow Miss Lovie on Facebook and say hi on my wall if you want. Be sure to comment here to tell me you did (1 entry). Blog, Tweet or Facebook about this giveaway and leave a comment here telling what you did (up to 3 entries). 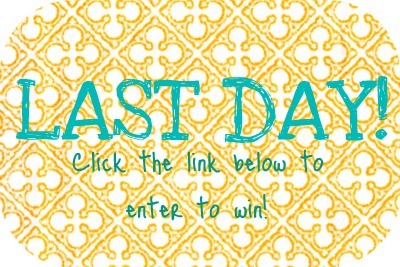 This giveaway ends Wednesday, May 25. Can I Have That Job?